The TMNT have had some questionable games in the last few years, never quite reattaining the heights of the traditional brawler/beat-em-ups of yesteryear. However, Activision has been putting out some mediocre ones over the last year. There was the Nickelodeon cartoon based Teenage Mutant Ninja Turtles for the Nintendo 3DS, and just a month ago saw the release of the Bay & Liebesman film's tie-in game (also on the 3DS), but neither were as good as the iOS and Android movie tie-in, but hey- they weren't too awful either. With that being said, Activision and Wayforward Games have announced a new Turtles game with a new style. 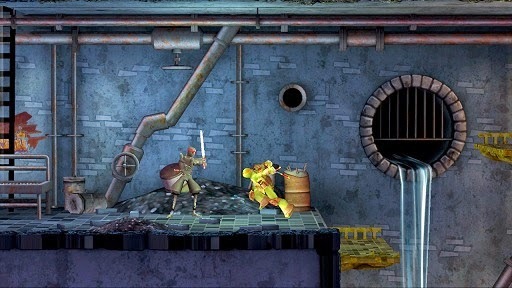 Teenage Mutant Ninja Turtles: Danger of the Ooze is a "side-scrolling action-adventure" that bridges the gap between seasons 2 and 3 of Nickelodeon's currently airing animated series. So it sounds like well be getting a Metroidvania game featuring the TMNT, this could be very interesting if it works out well. At least Activision is starting to branch out and take some chances with the TMNT franchise concerning the types of games they are making, so who knows, this could be a very good thing for the future of TMNT games. It sounds like an intriguing new take on a Turtles game, and I'm more than willing to give it a shot. 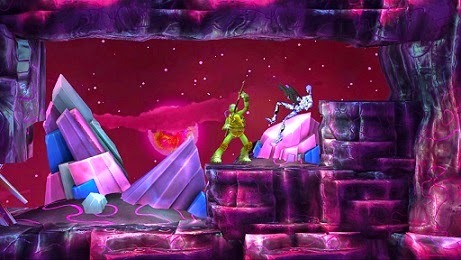 Teenage Mutant Ninja Turtles: Danger of the Ooze is set "to emerge in Autumn 2014" for PS3, Xbox 360, and the Nintendo 3DS.